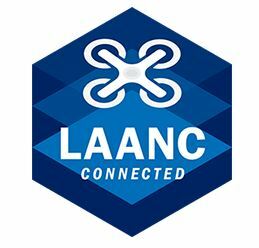 Something of interest to industry and professionals involved in UAV, drone, and aerial mapping technologies – LAANC (pronounced lance). From the FAA, simply put, LAANC provides #drone pilots quicker access to the #airspace, which results in #safer operations. As UAV professionals providing solutions and services to clients from a variety of industries, we are dedicated to staying informed and educated about important news, regulations and other important topics. Recall, in May, 2017 we announced that we had received official authorization to conduct UAV aerial mapping flights on designated airport lands in Mississippi. As licensed professionals, skilled in aerial mapping of sensitive and secure locations, we are committed to staying informed and in compliance with the laws and regulations that guide the industry and it’s direction. (see more) . 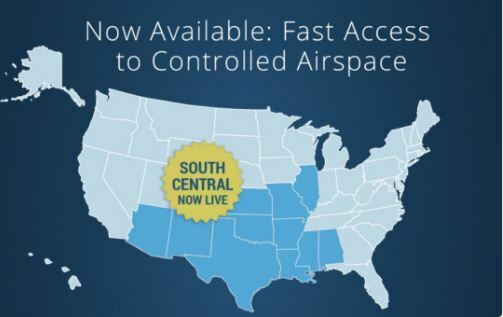 Regarding this latest FAA news, LAANC will ultimately provide near real-time processing of airspace authorization requests for unmanned aircraft (UAS) operators nationwide. LAANC also provides FAA’s Air Traffic visibility into where and when planned drone operations will take place. LAANC automates the application and approval process for airspace authorizations. Requests are checked against airspace data in the FAA UAS Data Exchange such as temporary flight restrictions, NOTAMS and the UAS Facility Maps. Under the small UAS rule, pilots or operators planning to fly in controlled airspace under 400 ft. must receive an airspace authorization from the FAA. LAANC dramatically decreases the wait time experienced with the manual authorization process and provides greater flexibility in operational planning. The National Beta test of LAANC commenced on April 30, 2018 and will last throughout 2018. LAANC also remains available at the airports that took part in the 2017 prototype evaluation. Beginning April 30, 2018, the FAA is phasing in a nationwide beta test of the Low Altitude Authorization and Notification Capability (LAANC) that will deploy the system incrementally at nearly 300 air traffic facilities covering approximately 500 airports. The beta expansion follows successful evaluation of a prototype LAANC system last November. The first facilities taking part in the beta test are listed on our website. The final deployment will begin on September 13. LAANC helps support the safe integration of drones into the nation’s airspace. Drone operators using the system can receive near real-time airspace authorizations. This dramatically decreases the wait experienced using the manual authorization process and allows operators to quickly plan their flights. LAANC uses airspace data provided through temporary flight restrictions, NOTAMS and UAS facility maps that show the maximum altitude ceiling around airports where the FAA may authorize operations under Part 107. Beginning April 16, the FAA also began considering agreements with additional entities to provide LAANC services. LAANC has been announced and discussed extensively at this week’s AUVSI event in Denver, CO. You are encouraged to also browse the official event hashtag on Twitter #auvsiXPO for updates and comments from the UAV industry and community. For more information about GEO Jobe’s UAV and aerial mapping services, including sample projects and images see www.geo-jobe.com/uav. Aerial mapping mission price quotes are available by contacting GEO Jobe directly.